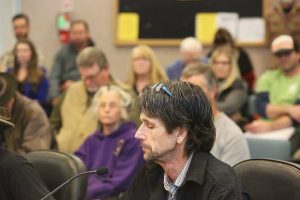 Three new cannabis businesses cleared the first hurdle of the permit process Thursday with approvals from the Nevada City Planning Commission. Two of those — Powerhouse Distribution and ZYFA Inc. — join the businesses already working to open on a “cannabis campus” in the 100 block of New Mohawk Road. 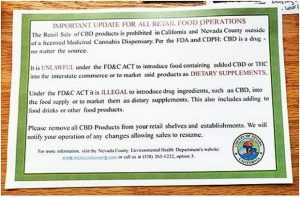 Most of the cannabis businesses that have been approved to operate in Nevada City are concentrated in that location wand on Searls Avenue and Lower Grass Valley Avenue. The lone exception is Full Bloom, which was OK’d Thursday to operate in what was the guard shack at the Nevada City Tech Center on Providence Mine Road. Full Bloom is a brokerage that will not sell, manufacture or physically distribute cannabis. Owner Kenneth Armstrong describes the space as essentially clerical, a one-man operation from 10 a.m. to 2 p.m. where he will take care of his book-keeping. All sales will be conducted by phone or during in-person visits to clients, he said in his application. According to Armstrong, Full Bloom currently operates a large extraction manufacturing warehouse in Oakland. “We will be manufacturing, selling and distributing there,” he said. Armstrong said Oakland has been very proactive in supporting the cannabis industry, calling it a “hub” for the whole state. So why open an office in Nevada City? On the potential horizon for Full Bloom is another permit application for extraction manufacturing, he said. Because of those future plans, Armstrong said, he was more than happy to satisfy all the conditions for a cannabis business permit. The other two businesses receiving the OK from the Planning Commission to start the permitting process will be located on Mohawk Avenue. ZYFA will manufacture and distribute concentrates for infusion using a closed-loop system, and plans to operate seven days a week, 12 hours a day. Powerhouse Distribution requested approval for a distribution-only facility that will operate five days a week. According to co-owner Cindy Ruvalcaba, cannabis from cultivators or manufacturers will be stored on site and quarantined for batch testing. A fourth applicant, Nevada City Trading Company, requested to postpone its hearing until November.